UNCITRAL Working Group III (WG III) met in Vienna from October 29 to November 2, 2018 and decided that multilateral reform is desirable to address various concerns regarding ISDS. Its next session—scheduled to take place in New York from April 1 to 5, 2019—will not yet be about developing solutions to these concerns: it will focus on preparing a work plan to develop solutions. Various challenges lie ahead for WG III member and observer states, particularly developing countries suffering dire consequences from the ISDS regime. They need to ensure that other relevant concerns they may have are not left behind in the deliberations. They also need to contribute to drawing up a work plan that leads to systemic reform of ISDS rather than isolated fixes of some of its troublesome aspects. If states do not prepare for and engage actively in the April 2019 meeting, they risk seeing the hard-fought UNCITRAL process fail to deliver meaningful reform of the existing international regime for investment-related dispute settlement. 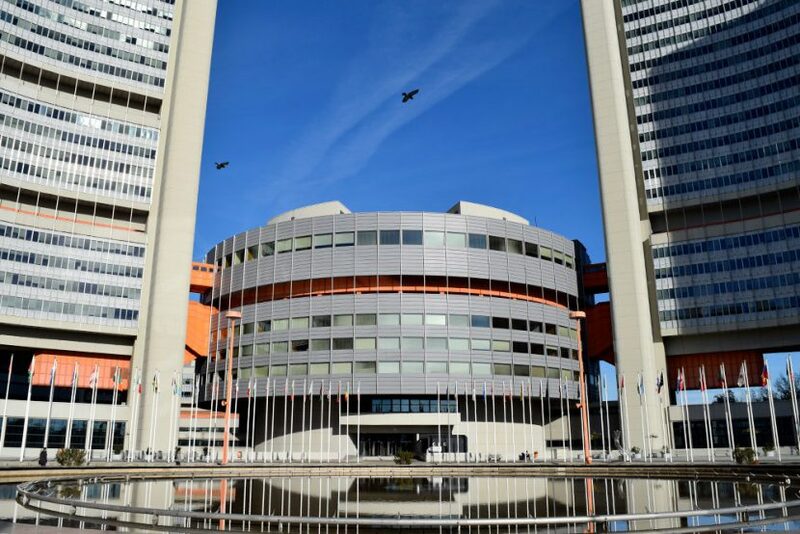 This article looks into the WG III process so far, with a focus on the developments at the Vienna session, and brings important considerations for governments in preparing for the New York meeting. WG III deliberations under this mandate began in a meeting in Vienna in October–November 2017 and continued in New York in late April 2018. In both week-long sessions, WG III dealt with the first phase of the mandate, namely, the identification and consideration of concerns regarding ISDS. It also left it open for states to raise additional concerns at future WG III sessions. Concerns pertaining to consistency, coherence, predictability and correctness of arbitral decisions by ISDS tribunals. These relate to matters including divergent interpretations, procedural inconsistency, lack of a framework to address multiple proceedings and limits of mechanisms to address inconsistency and incorrectness of decisions. Concerns pertaining to arbitrators and decision-makers, expressed from two perspectives. First, there are concerns regarding their independence and impartiality, including double hatting and the limitations of challenge mechanisms. Second, there are those relating to the impacts of tribunal constitution approaches on the qualifications and characteristics of tribunal members, such as concerns regarding party-appointment mechanisms, repeat appointments, and the limited number and diversity of individuals appointed as arbitrators. Concerns pertaining to cost and duration of ISDS cases. These relate to concerns regarding lengthy and costly proceedings, the allocation of costs by tribunals, difficulties faced by successful respondent states in recovering costs and the lack of mechanisms to address frivolous or unmeritorious claims. Other concerns, reiterating that states would have the opportunity to raise additional concerns not identified under the three main areas outlined above. Deliberations throughout the Vienna session closely followed the structural framework and the paragraphs in the secretariat’s Working Paper 149, summarized in the section above. Although some “other concerns” were raised by certain governments and acknowledged by the chair during in the Vienna session, they were not reflected in the draft official report. In several interventions, South Africa voiced concerns going beyond the categorization under Working Paper 149. For example, South Africa pointed to the issue of investors requesting the arbitral tribunal to grant interim measures in an attempt to stop the state from investigating corporate wrongdoing, or to stop the state from collecting sums it was awarded in other proceedings. It also pointed to the reputational harm and regulatory chill experienced by states as a result of ISDS proceedings. A common thread in South Africa’s interventions was its support for systemic reform. Indonesia circulated a paper stating that substantive and procedural elements are inherently intertwined and questioned the substance–procedure dichotomy on which WG III discussions were built. The submission emphasized Indonesia’s concerns regarding the ISDS mechanism, including some that were not covered by categories mentioned above. These included concerns regarding the regulatory chill and the loss of policy space resulting from the threat of ISDS and regarding the ability of foreign investors to circumvent domestic legal processes. Also not reflected in the draft official report are interventions made by non-governmental organizations. For example, the Netherlands-based Centre for Research on Multinational Corporations (SOMO) stated that the framework for discussions did not adequately reflect the need to balance rights and obligations of states and investors. SOMO indicated that ISDS is procedurally unfair and unbalanced, as only foreign investors can bring claims. Both SOMO and the Centre for International Environmental Law (CIEL) indicated that Working Paper 149 omitted several concerns. CIEL, in particular, stated that it was unclear how the secretariat selected which concerns to include and which to omit, and requested transparency in this regard. It also requested that time be set aside to discuss other concerns, including those contained in Indonesia’s submission. In response, the secretariat maintained that it has no role in deciding what is included in the background papers, which reflect WG III discussions. It explained that Indonesia’s submission had not been translated into all UN languages and therefore could not be looked at in the Vienna session, but would be available for discussion in New York if the WG III decides to do so. The WG III’s chair said that the UNCITRAL reform project belongs to member states, not to the secretariat or the chair, and reassured observers that, if concerns were omitted, WG III would still hear them. The draft report of the Vienna meeting provides a clear outline of how the WG III will conduct its work in the New York session. First, WG III will consider concerns related to third-party funding (TPF), possibly in light of a background note that is being prepared by the secretariat. TPF was framed by the secretariat in Working Paper 149 as a concern regarding the cost and duration of ISDS proceedings, but during the deliberations it was stated that TPF also had an impact on other aspects and that it introduced a structural imbalance in the ISDS, given that states did not have access to TPF. Accordingly, in New York, WG III will consider the desirability of reforms on TPF. In advance of the meeting, governments may wish to make formal submissions underscoring that TPF is a broader, more systemic issue than just related to cost and duration. Second, it will consider “other concerns not already covered by the broad categories of desirable reforms already identified”—the fourth residual category that was not addressed in Vienna. Governments that wish to raise additional concerns are specifically “encouraged to submit them in writing” before the New York session. Therefore, governments should make submissions flagging their other concerns that were captured neither in the three main areas of Working Paper 149 nor in the official report of the Vienna session. Third, and very importantly, WG III will “develop a work plan to address the concerns for which it had decided that reform by UNCITRAL was desirable.” Opposing views were expressed during the Vienna deliberations on how work on phase three should be structured. One view was that governments should identify which specific concerns under the three main areas should be priorities for reform. Others, however, maintained that WG III should work on comprehensive reform and that such a prioritization approach could lead to missing out on reform areas. Discussions on these two opposing views were not pursued in Vienna; instead, it was agreed that they would occur in New York. Again, “governments were encouraged to consult and submit written proposals for the development of the work plan,” and the secretariat was requested to prepare a note on available options. The work plan will indicate how concerns identified as desirable for reform should be addressed in phase three. It will also include questions such as sequencing, priority, coordination with other organizations, multiple tracks and ways to continue the work between WG III sessions. To allow the secretariat sufficient time to translate the submissions into the six UN languages in time for the New York meeting, they should be made by early February 2019. If governments miss the opportunity to express their views on TPF and other concerns relating to the ISDS regime (such as concerns regarding reputational harm, regulatory chill, the ability of foreign investors to circumvent domestic courts, among others), these concerns will likely be left out of the UNCITRAL reform agenda in the crucial phase three, when possible solutions will be discussed. The European Union believes that systemic reform is how we can address these concerns [identified at UNCITRAL as desirable for reform]—and that only one of the options on the table can effectively address these concerns. That is the creation of a permanent body to resolve investment disputes—a multilateral investment court [emphasis added]. Actively preparing for and engaging in the April session of UNCITRAL WG III in New York will be essential for governments that wish to advance ISDS reform. The session will be their opportunity to have their voices heard on how the WG III’s work should proceed and, ultimately, on whether the UNCITRAL process should lead to procedural tweaks or to systemic reform of ISDS mechanisms. Martin Dietrich Brauch (LL.M.) is International Law Advisor and Associate with IISD’s Economic Law and Policy program and is based in Brazil. He is ITN’s editor-in-chief. United Nations Commission on International Trade Law (UNCITRAL). (2017, December 19). Report of Working Group III (Investor–State Dispute Settlement Reform) on the work of its thirty-fourth session (Vienna, 27 November–1 December, 2017), Part I (A/CN.9/930/Rev.1). Retrieved from https://undocs.org/en/A/CN.9/930/Rev.1; UNCITRAL. (2018, February 26). Report of Working Group III (Investor–State Dispute Settlement Reform) on the work of its thirty-fourth session (Vienna, 27 November–1 December, 2017), Part II (A/CN.9/930/Add.1/Rev.1). Retrieved from https://undocs.org/en/A/CN.9/930/Add.1/Rev.1; see also IISD. (2018, April 17). Webinar: UNCITRAL Process on IISD Reform. Retrieved from https://www.iisd.org/event/webinar-uncitral-process-isds-reform. UNCITRAL (2018, May 14), supra note 3, para. 99. UNCITRAL. (2018, November 6). Draft report of Working Group III (Investor–State Dispute Settlement Reform) on the work of its thirty-sixth session (A/CN.9/964), paras. 40, 53, 63, 83, 90, 98, 107, 123, 127 and 133. Retrieved from https://uncitral.un.org/sites/uncitral.un.org/files/draft_report_of_wg_iii_for_the_website.pdf (hereafter referred to as Draft Report). Indonesia’s paper also advanced some ideas for phase three of the WG III’s mandate (development of solutions): rebalancing investors’ rights and obligations through substantive and procedural safeguards, requiring exhaustion of local remedies, requiring specific written consent to arbitration and introducing mandatory mediation prior to ISDS. Draft Report, supra note 6, paras. 120, 134 and 136. Draft Report, supra note 6, para. 137.